With the much-vaunted anti-corruption fight by the President Muhammadu Buhari’s government, some governors, especially those from his party, APC, are still deeply enmeshed in gross financial malfeasance and massive corruption that are very alarming and offensive to the collective integrity of the people that are supposed to be governing with a high sense of accountability and responsibility. If the evidences staring this stable in the face are confirmed and fully concretized, then the soon to be embattled sitting but definitely out-going governor of Zamfara State, Abudal’aziz Abubakar Yari, must be ready to face the music at the instance of the anti-graft body, Economic and Financial Crimes Commission, EFCC. Although the news of his monumental embezzlement and fleecing of the state funds have been in the public domain for years no, even then at the level of conjectures, recent implicating reports are pointing in the culpability and outright liability of Governor Yari in all these soon to be ascertained allegations of sleaze and massive corruption. It was discovered and revealed by some reliable sources that in just two (2) years after taking office, Gov. Abudal’aziz Abubakar Yari brazenly and recklessly bought a property in the United States of America, USA, for a princely sum of $950,000. The said 2.1-acre property is located at 14800 Bowie Farm Court, Bowie Maryland (Zip code: MD 20721,) and has six full and two half bathrooms with a jacuzzi in the master bedroom. The Deed Documents obtained from the Circuit Court of Prince George’s County, Maryland, USA, showed that Gov. Yari is the sole owner of the property, which was purchased from a limited liability company, K Hovanian Hamptons, located at Creek 11, Delaware. The company used to be known as Real Property Holding, with an address at Prince George’s County, before changing its name on 25 January 2011. The deed on the property was dated August 27, 2012, while the approval of the purchase was granted on November 1, 2012, after Yari had duly paid the princely sum of $950,000 in raw cash, without any mortgage whatsoever on the property. In the same vein, equally captured on the deed document is the sum of $5,225, which was described as “recordation of tax paid,” and yet another $13,300, described as “transfer tax paid,” both inferring that Mr. Yari operated a foreign account, in clear breach of Code 3 of the Code of Conduct Bureau. It was also revealed in a Real Estate property tax information from Prince George’s County, that Governor Yari paid taxes on the property up till date, his 2017 estate tax was $16, 583.10. 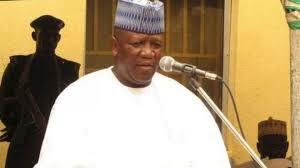 Mr. Yari bought the property after his fraudulently-awarded N25billion in road contracts in Zamfara in 2012. The code of conduct law expressly prohibits certain public officials from operating bank accounts in any country outside Nigeria. These include the President, Vice President, governors, deputy governors, ministers, commissioners, members of the National Assembly and the State Houses of Assembly and so on. According to the deed document, Gov. Yari signed the agreement in person, with one Kimberley Armstead, a notary public of Montgomery County State of Maryland, USA, serving as a witness. It was also once exclusively reported that Gov. Yari, the Chairman of the Nigerian Governors’ Forum, was building a 100-room hotel in Lekki, Lagos, with the $3million, he purportedly stole from the Paris Club loan refund to states. Aside from the $3million, Yari was also found to have diverted a whopping sum of N500million from the Paris Club refund to pay off a loan he personally got from an unnamed bank. He was reportedly said to have withdrawn the N500million from the N19billion Paris Club refund, illegally paid into the account of Nigerian Governors’ Forum as payment to “consultants.” He allegedly deposited the stolen sum into a bank account with a mortgage bank from which he had taken an N800million loan to buy sundry properties in 2013. This move, we gathered, enabled him to renegotiate his debt from N800million to N500million. Gov. Yari is believed to have pocketed the huge sum of N2.2billion from the sum illegally diverted into the Nigerian Governors’ Forum Account by the Federal Ministry of Finance. According to officials EFCC, Yari’s hotel, which was then under construction, had been listed as proceed of crime and will be taken over, once the EFCC obtained a court order in this regard. Yari had then denied ownership of any hotel in Lagos, claiming he did not even own a plot in the Nigeria’s commercial capital, let alone building a hotel on it. In 2017 alone, over 1000 persons died as a result of a terminal and deadly meningitis epidemic, with Gov. Yari’s Zamfara State leading in the number of deaths. At the peak of the epidemic, Yari reportedly said the epidemic was the punishment from God against his people for their sins. What an insult to the collective sensibility of the Zamfara people. Governor Abdulaziz Abubakar Yari’s mansion in Bowie, MD Inside Gov. Yari’s mansion in Maryland Inside Gov. Yari’s mansion in Maryland Governor Abdulaziz Abubakar Yari’s mansion in Bowie, MD -Property information Sahara Reporters Media Governor Abdulaziz Abubakar Yari’s mansion in Bowie, MD -Tax payment for 2017 Sahara Reporters Media Governor Abdulaziz Abubakar Yari’s mansion in Bowie, MD -Property Deed Sahara Reporters Media Governor Abdulaziz Abubakar Yari’s mansion in Bowie, MD -Property Deed Sahara Reporters Media. In the ensuing court melee, a Federal High Court sitting in Abuja had ordered an interim forfeiture of the sums of N500m and $500,000, said to have been surreptitiously looted from the Paris Club refunds made by the Federal Government in favor of the 36 states of the federation. The sums of money said to have been recovered from two firms, First Generation Mortgage Bank Limited, and Gosh Projects Limited, were allegedly linked to the Governor of Zamfara State and Chairman of the Nigeria Governors’ Forum, Abdulaziz Yari. The EFCC had alleged that the sums of money were fraudulently diverted from the NGF’s bank account, on the instruction of Yari. The commission also alleged, in an affidavit filed in support of its ex parte application, seeking the interim forfeiture of the sums of money, that the N500m was diverted to offset Yari’s personal loan obtained from the First Generation Mortgage Bank Limited. It also alleged that the second firm, Gosh Projects Limited, utilized most of the proceeds of the alleged loot, transferred to it for the purchase of building materials for Yari’s 100-room hotel project in Lagos. Gosh Projects was also said to have used part of the looted funds for the purchase of treasury bills and transfers to offshore accounts. Justice Nnamdi Dimgba made the interim forfeiture order of the sums of money to the Federal Government in a ruling delivered on June 30, 2017. The judge also ordered that any person(s) or body with interest in the funds must, within 14 days of the publication of the interim order of forfeiture in any national daily, show cause why an order of final forfeiture to the Federal Government of the funds should not be made. The ruling was delivered in an ex-parte application jointly filed on June 19, 2017, by the Federal Government of Nigeria (the first applicant) and the EFCC (the second applicant). First Generation Mortgage Bank Limited and Gosh Projects Limited, from whom the allegedly looted funds were recovered, were joined as respondents. After the application was moved by the EFCC’s counsel, Mr. Ben Ikani, Justice Dimgba granted the three prayers sought by the two applicants. The judge granted prayers, including “an order of interim forfeiture to the Federal Government of Nigeria (the first applicant) of the sum of N500,000,000.00 recovered from the first respondent (First Generation Mortgage Bank Ltd.) and presently in the possession of the second applicant (EFCC) in its Recovered Funds Account domiciled at the Central Bank of Nigeria.’’ In an affidavit filed in support of EFCC’s ex parte motion, an operative of the anti-graft agency investigating the case, Mr. Osas Azonabor, alleged that investigation had revealed that the Paris Club refund involved “complex case of money laundering.” According to him, firms that had no contract with the Nigerian Governors’ Forum, which was holding the Paris Club refunds in its account on behalf of all the States government, were used to divert about N2.2bn from the NGF account. The investigator alleged that the sum of N500m, recovered from First Generation Mortgage Bank Limited, was part of the N2.2bn “fraudulently transferred by the NGF to BINA Consults and Integrated Services Limited on December 23, 2016. He accused Yari of giving the instruction for the transfer of the N500m out of the N2.2bn to the First Generation Mortgage Bank Limited. On how the alleged fraud was discovered, the investigator said the commission, sometime in January 2017, received intelligence in respect of a case against the NGF. Azonabor stated that the intelligence alleged conspiracy, criminal misappropriation of public funds involving the sum of N19,439,225,871:11 out of the Paris Club refunds made by the Federal Government in favor of the 36 states of the federation. According to the EFCC investigator, a preliminary investigation conducted by the commission “revealed that the 36 state governments, under the auspices of the NGF, engaged the services of Bizplus GSCL Consortium.” He said the state governments also asked Bizplus GSCL to “recover amounts due to the states from first line charge made on them from 1995 to 2002 for a success fee of two per cent payable by the NGF.” The investigator said it was agreed that two per cent of the total amounts due to the states as payment to Bizplus GSCL Consortium. The EFCC, however, traced the sum, knowing it was connected to Mr. Yari and the Paris Club loan. The mortgage bank then forfeited the N500m to the EFCC. Sleazy and ugly financial tales of the Zamfara State governor’s indiscriminate embezzlement galore are now rearing its head in the public space again and it is only God that can save him from the many financial improprieties he has been dragged into. But does God Allah support this kind of unwholesome and ungodly acts? We leave the answaer to God and mankind. His ignoble role in the embezzlement of N3.5b from the Paris Club loan through the slush fund placed at the Access Bank by the Nigeria Governors Forum, who claimed it was meant for consultants are also still in contention.